Auditorium spaces in Johnston County, NC. 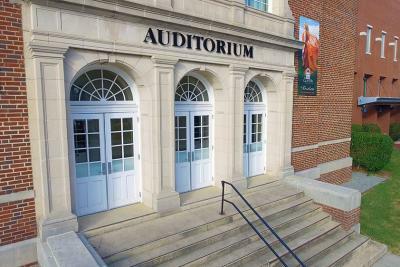 The Johnston County communities of Benson, Clayton and Smithfield have made creative use of historic buildings and high schools by converting them into auditorium and conference spaces. These unique venues provide classroom space, reception areas for social functions, and auditorium seating for groups of 100 to 1,000 people. While meeting in the county, these venues may be hosting special events that your attendees may love to attend. Check our calendar of events to see what&apos;s happening in the county when you are here on business! Call on these facilities when you need fixed-seat auditorium space.